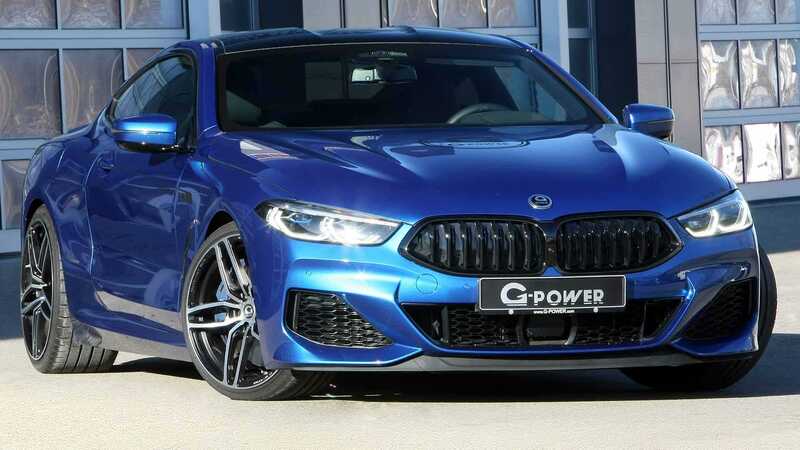 G-Power has released an upgrade for the BMW M850i. In terms of raw performance, the car now easily surpasses its senior sibling, the BMW M8. Straight off the factory, the M850i comes armed with a 4.4-liter, twin-turbo V8 mill capable of producing up to 523 hp (390 kW) and 750 Nm (553 lbft) of torque. Once upgraded with a sports-grade catalytic-converter exhaust system (U.S. $4,742) and a new engine software ($2,831), it rises to 661 hp (493 kW) and 890 Nm (656 lbft). Boosted like this, the 850i only needs 3.1s to go 0-100 km/h (0-62 mph). You may opt to remove the speed limiter ($500) to raise the top going speed to a spectacular 320 km/h (199 mph). The bundle also includes unique 21-inch G-Power rims priced at U.S. $8,577. That said, the upgrade doesn’t come with any modifications to the suspension, chassis or brakes of the car. Given that BMW should be revealing the next-generation M8 soon, it is perhaps worth it to wait and see what that one has on offer.